Taking an interdisciplinary environmental science approach, Dr. Branfireun and his research group seek to understand the bidirectional nature of hydrological – ecological interactions at a range of scales. They direct their efforts toward ecosystems that are particularly sensitive to the impacts of natural and human-induced environmental change. 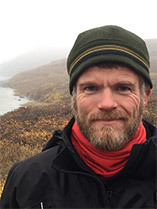 Dr. Branfireun is involved in projects studying the hydrology, ecology and biogeochemistry of wetland-dominated environments from the Canadian sub-arctic to the sub-tropics of Mexico. Dr. Branfireun's research program is strongly field oriented, using the latest approaches to the measurement of environmental processes. He also directs a modern laboratory facility in the BIOTRON Institute for Experimental Climate Change Research at Western University for the study of speciated trace metals in the environment such as mercury and arsenic. Cole, AS, Steffen, A, Eckley CS, Narayan J, Pilote M, Tordon R, Graydon JA, St. Louis, Branfireun BA, A survey of mercury in air and precipitation across Canada: patterns and trends, ATMOSPHERE, In Press. Farrick, KK*, Branfireun, BA. Soil water storage, rainfall, and runoff relationships in a tropical dry forest catchment, WATER RESOURCES RESEARCH, In Press. Morris, MA*, Spencer, KL, Belyea, LR, Branfireun BA, Temporal and spatial distributions of sediment mercury in restored coastal saltmarshes. MARINE CHEMISTRY, In Press. Dieleman, CM*, Branfireun BA, McLaughlin, JW, and Lindo, Z. 2014. Climate change drives a shift in peatland ecosystem plant community: Implications for ecosystem function and stability. GLOBAL CHANGE BIOLOGY doi: 10.1111/gcb.12643, 2014.